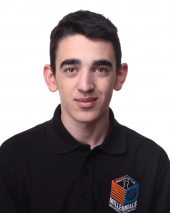 IM Martirosyan is currently ranked 1st in Armenia, 3rd in the continent of Europe, and 14th in the world in the under 18 category. He achieved his title as International Master title at the 4th quarter Presidential Board Meeting 2015. In 2016, he won the U16 World Youth Championship.